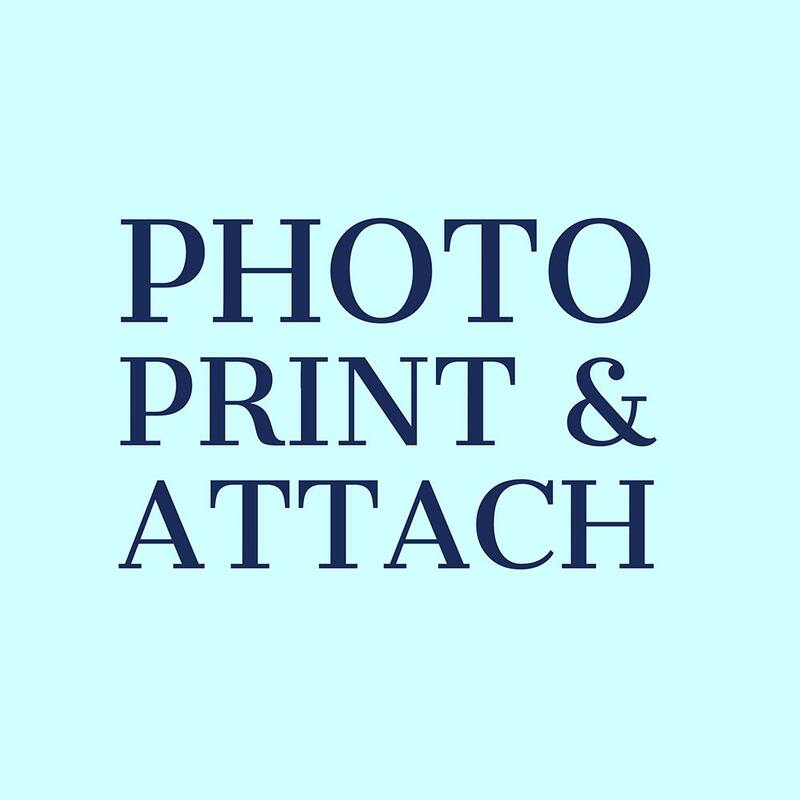 This listing is for the add-on service of PHOTO PRINT & ATTACH on your announcement or holiday card. This can be added to any birth announcement, adoption announcement, holiday card or save-the-date order. The photo will be digitally printed and attached using archival tape or photo corners, per our conversation. Be sure to select the same number of photo print & attach as the number of announcements / holiday cards / save-the-dates you purchased.